Have you ever fancied having a smile that is straight, without the worry of having to flash a mouth of metal each time you grin? 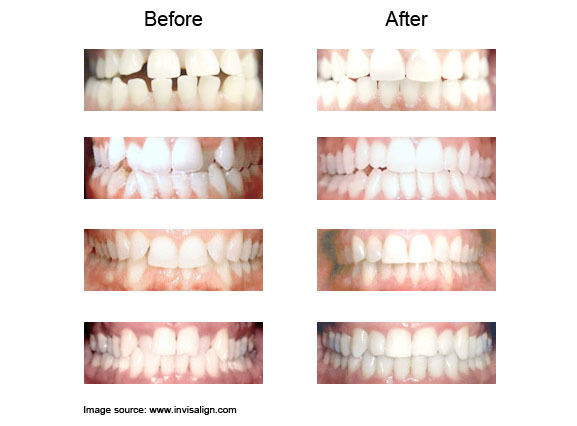 Now you need not worry as Invisalign is the perfect way to get you that much needed smile, without having to have braces that stand out from the crowd. 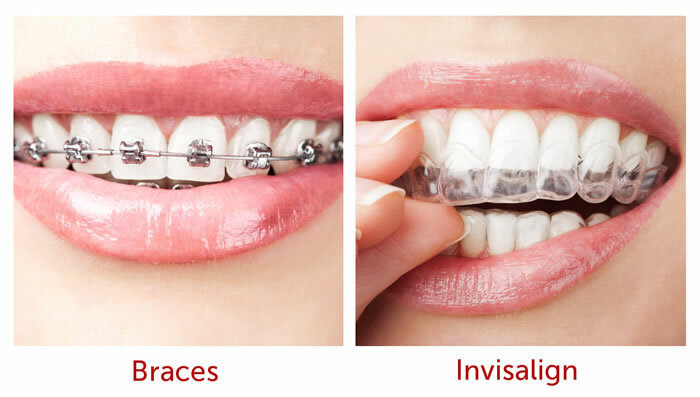 Invisalign is a clear aligner that is removable, and custom made to fit you. You will replace your aligner every two weeks, and as you do so, you will notice that your teeth have started to move already! Finally, you will achieve your desired results with this great technique of modern dentistry. Invisalign helps to straighten the teeth by using almost removable aligners that will not impact your daily routine at all! It is a modern method of getting rid of crooked smiles, and teeth with gaps. The trays that make the aligner are made from a very comfy and smooth material, which slips over your teeth, and can be forgotten about. The plastic that makes them does not require you to have any type of metal fitted to it, and your dentist or orthodontist will be able to get you a new custom made set of trays every fortnight to match the new movement of your teeth. There are a lot of brands on offer that can give you clear aligners but Invisalign far outweighs all of them. Invisalign will be prescribed for you if you are an adult, have mild to moderate crowding of the teeth, and if there is no disruption of your jaw bone. Not recommended for children, they make the perfect option for adults that want to get that perfect smile, but do not want to have to worry about crooked teeth and metal. Clear aligners mean that you need to go and visit your dental professional A mould of your teeth will be taken and normally this is then used to make a digital tooth scan that can help your dentist to determine how they need to be moved. Each and every stage you will have a new aligner made. Usually, they will be worn for twenty hours a week for 2 weeks, and then you will have another visit to the dentist and another aligner made. You will be committed to fortnightly trips to have new Invisalign aligners fitted. Usually the whole process takes about 13 and a half months. It is a fantastic method of getting that much needed smile. So many adults that have had crooked teeth as a child are ashamed to make visits to request correction later on in life, and they worry that the dentist may judge them, and their lack of attention to their teeth. You have to know that crooked teeth, gaps in teeth, poor oral hygiene and other issues are common things that dentists are used to and see all the time. Dental professionals are there to help you fix your smile, and here at Vitasmile we love the chance to be able to have a client that walks in with a bad smile, and walks out with their dream one! Why not give us a call and book an appointment today, allowing yourself to get well on the way to having the smile that you deserve.